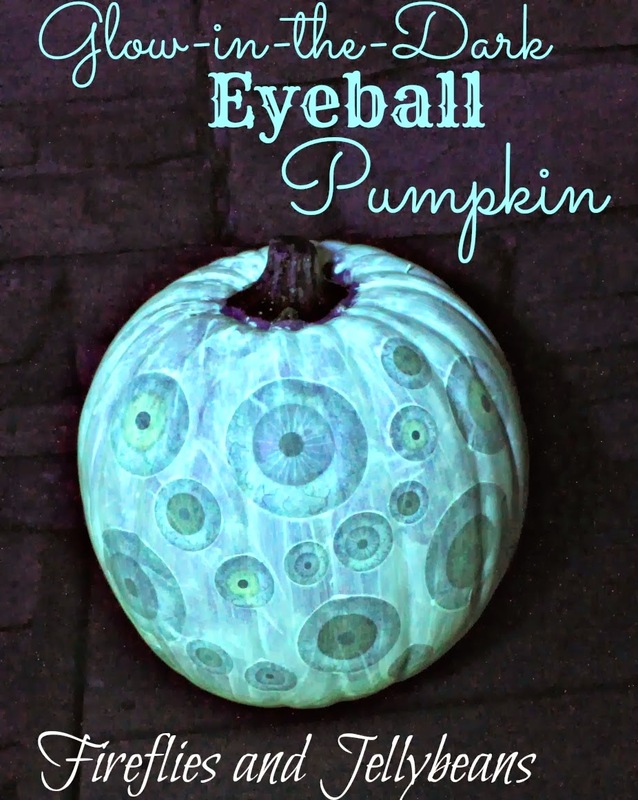 Super easy to make this creepy pumpkin! 2. 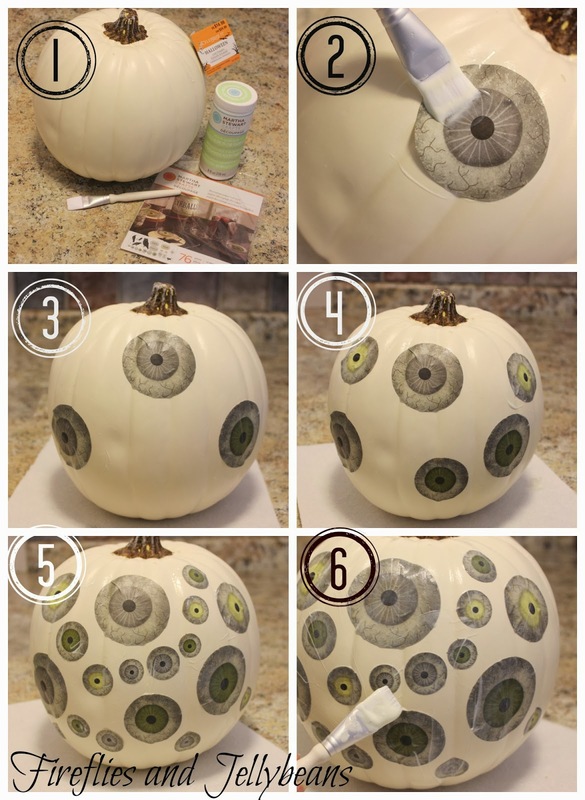 Brush on the decoupage onto the pumpkin, then onto the back of the eyeball paper. Place the eyeball onto the pumpkin and brush more decoupage on top. 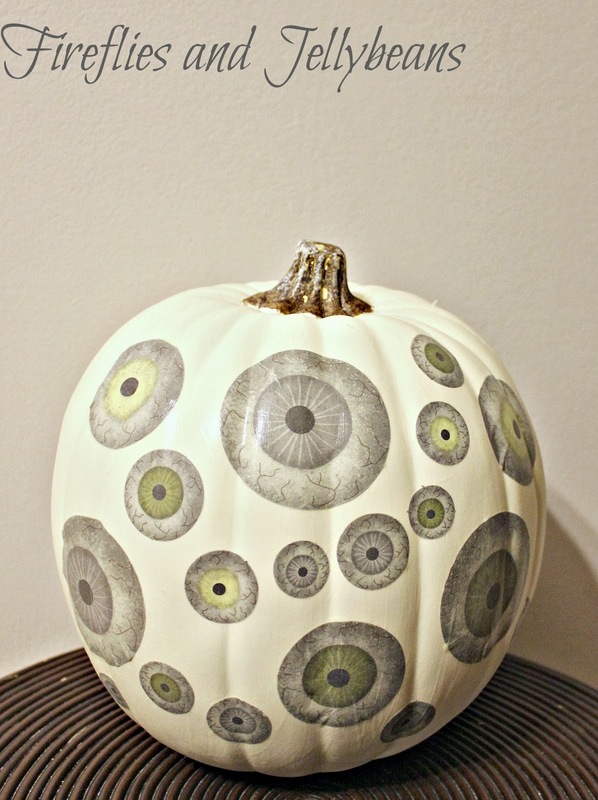 3-5 I placed the large size eyeball first and then the medium sized one and then filled in with the little eyeball. 6. Coat over the entire pumpkin with the glow-in-the-dark decoupage. I ended up doing 5 layers because I really wanted it to glow. I used a blow-dryer to speed up the dry time. 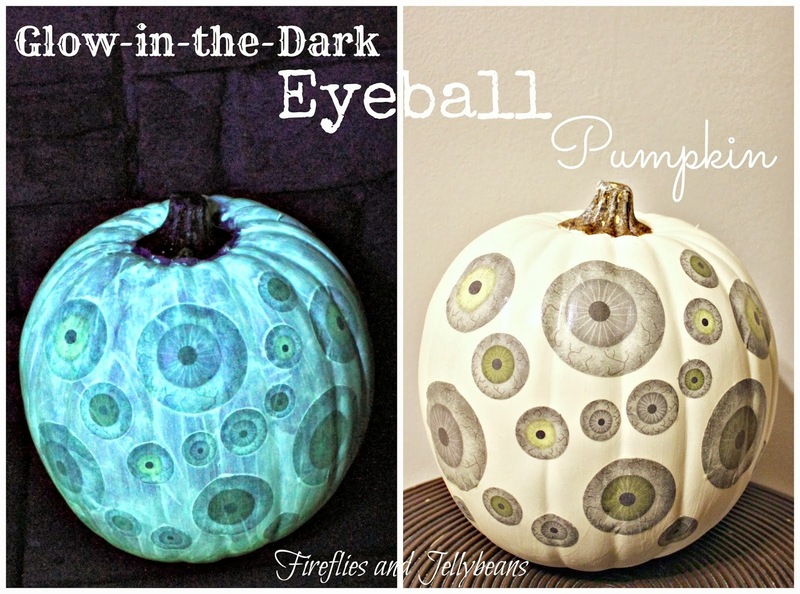 And really cool creepy at night when it glows! This is a different look. I can see using these products to create an alien lifeform.